With this product you can accumulate up to 138 Glitter Points. 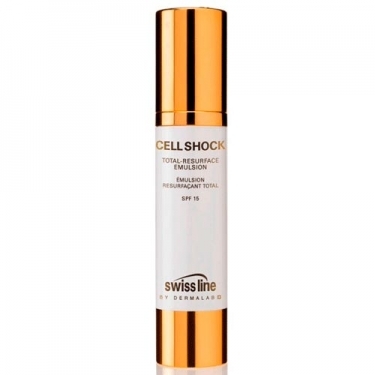 DESCRIPTION: Cell-Shock Total Resurface Emulsion from Swissline is a light emulsion that provides broad spectrum UVA / UVB defence through a combination of sunscreens and sunscreens, and also corrects existing sun damage through exfoliating peptides and enzymatic rejuvenating agents in an AHA / BHA free formula. 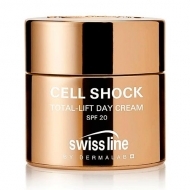 In addition, it combats wrinkles, pigmentation spots and open pores. 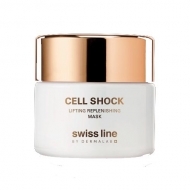 Apply in the morning on perfectly clean face and neck.